As promised, I am sharing another treasured family recipe; My Mom's Albondigas Soup (or Meatball Soup). This soup has been a tradition in my family home since I was a baby. Mom cooks up a big pot at least once a month. I did a little research and found out that Albondigas Soup dates back to the sixth century. I guess the Spanish brought it over to Mexico, hmmmm… and I thought us Mexicans invented it! Well you’re in for a treat with my Mom's Albondigas Soup recipe which has been passed on through the generations originating with my Great-Grandmother. It has probably seen some improvement over the years, but honestly, in my book, it has just been perfected. I made this soup for our Freezer Meal Swap Group a few months ago and was immediately asked for the recipe. It is hearty and perfect on a cold day. My family usually serves it with warm, homemade tortillas. 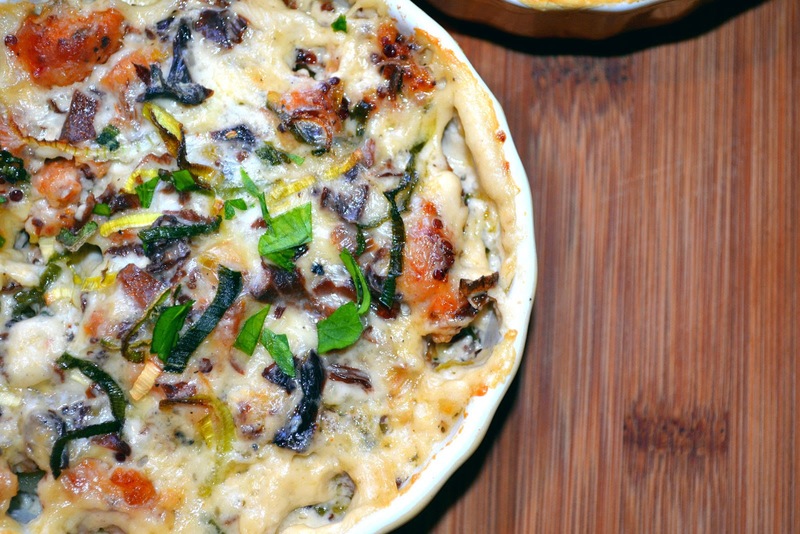 I hope you give the recipe a try and that it becomes a favorite in your home as well! Add 10 cups of hot water. Bring to a boil. add another tablespoon of chicken bouillon). Add ground beef and all of the other meatball ingredients into a large mixing bowl. Using your hands, mix meats until all the ingredients are well combined. (like meatloaf). But do not over mix. Make into ice cream scoop size balls. Bring heat back up to high on the soup. Carefully drop the meatballs into the soup. Do not stir otherwise the meatballs will break. Once the soup is at boiling point, stir only once. After the 30 minutes, add the remaining vegetables and herbs. Bring heat back up to medium high. Cook for an additional 20 minute. Turn stove off, serve hot. Birthday Cake Oreo Cheesecake "Cupcakes"
"LIVE EACH DAY LIKE IT'S YOUR BIRTHDAY!!!" ** I actually prefer to use my hand mixer for this recipe. It's very important that the cream cheese is softened and that the eggs are room temperature. I usually allow a few hours for the cream cheese to come to room temp. ** Plan ahead - the cream cheese needs several hours to soften. The cupcakes need to chill 8 hours or overnight before serving. This makes a great make ahead dessert! You can make both the cheesecakes and fresh whipped cream the night before you want to serve them! Line two 12 cup muffin pans with paper liners (I used white so the Oreos could be visible through the bottom). Remember this recipe yields approx. 21 cupcakes so you only need to line 21 cavities. Place a whole Oreo in each of the bottoms of the lined muffin pans. Place the softened cream cheese in a large bowl and beat with your electric hand mixer set at medium speed until smooth. This should take about 30 seconds if your cream cheese is well softened. Add the granulated sugar and vanilla extra and beat at medium speed until incorporated (about 20-25 seconds). Add the eggs one at a time, beating at medium speed just until incorporated and scraping down the bottom and sides of the bowl after each addition. Add the sour cream and mix just until combined. Divide the batter evenly between the prepared pans. Sprinkle the tops with sprinkles. Place in the oven and bake for approximately 15-20 minutes. Check at the beginning of the bake time. The cheesecakes should look set and not jiggly but should not be puffy and cracking. Remove from the oven and place the muffin pans on a wire cooling rack to cool. Remove the cheesecakes from the pans after about 15 minutes and place them on wire cooling racks to cool. Once the cheesecakes have cooled to room temperature, place them in a covered container and refrigerate for 8 hours or overnight before serving. To serve, garnish with fresh whipped cream and more sprinkles! 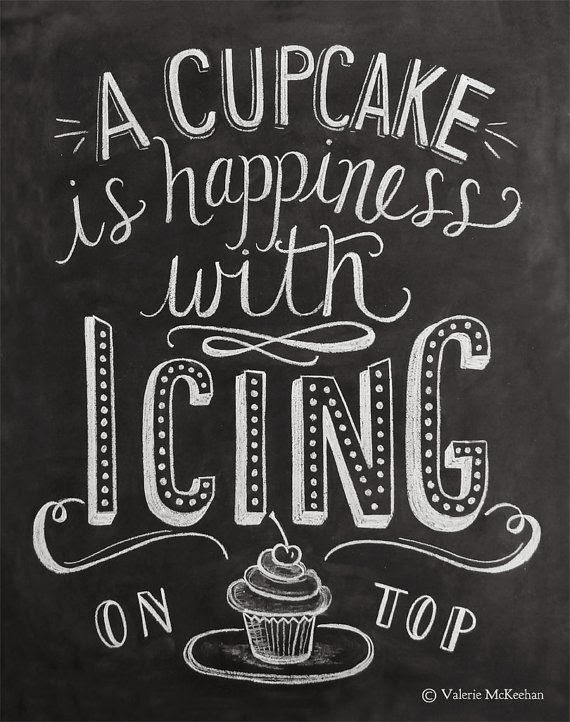 Because life is better with sprinkles!! Maybe even stick a birthday candle in just because!! Yvonne and I were excited to participate in the San Diego Food Bloggers Cooking Challenge featuring products from Melissa's Produce. If you're not familiar with Melissa's Produce already, they are the largest distributor of specialty produce in the US. Not only do they provide a wide variety of produce, but they offer several great convenience produce items as well. Leeks already sliced and cleaned? Yes, they have them! Fava Beans already cleaned and steamed? Yep! Imagine the time you can save using these conveniently prepared products. When we received our ingredients from Melissa's Produce, Yvonne and I actually felt like we were on an episode of Chopped, only we were lucky to have some really great ingredients to work with! And by great I mean high-quality, convenient to use and delicious! You should have seen the look on our faces when we bit into one of the Ojai Pixies. We were not anticipating how sweet it was. I have to say, it was the most amazing tangerine I have ever tasted in my life, and that's no exaggeration. I had to rush right out the next day and get more! Trust me, you NEED to try the Ojai Pixies!! So what do you make with so many great ingredients? Well, 3 amazing dishes of course (ok technically one is a drink, but isn't every great meal finished off with a cocktail?). We're really pleased with the recipes that we came up with. Using Melissa's Produce high quality products definitely made a difference. We hope you give them a try!! 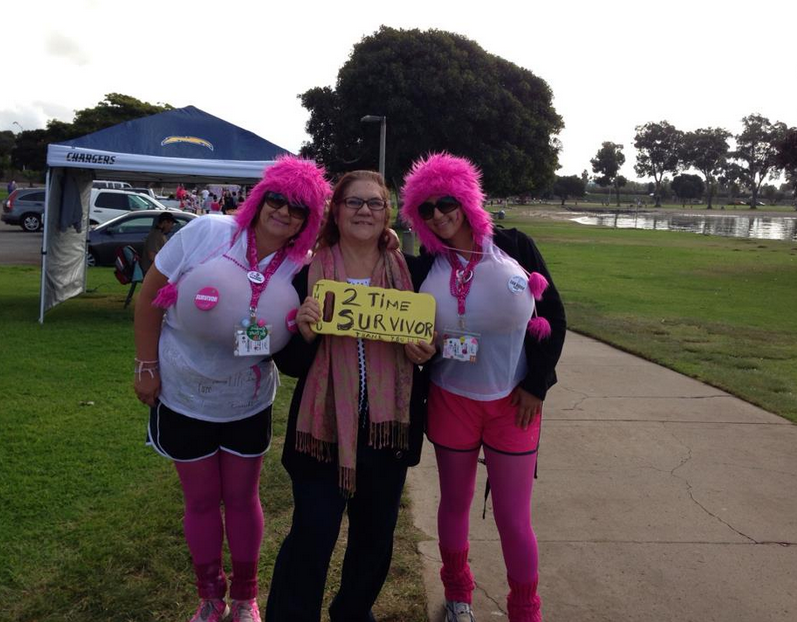 Thank you Melissa's Produce, Nancy Eisman and barbaracooks for organizing this great challenge. To reconstitute the dried mushrooms - place the mushrooms in a bowl and cover with boiling water. Cover and allow to sit for 15 minutes. Drain the water (save for another use). Remove the tough, woody stems. Chop the remaining part of the mushrooms. In a small saute pan, heat 2 tablespoons of olive oil over medium heat. Brown the chicken sausage over medium heat. Add the leeks and saute for 2 minutes. Add 1/2 cup cooked quinoa and continue to cook until sausage is cooked through. Remove from heat and allow to cool. In a small saucepan, melt 2 tablespoons of butter over med-low heat. Add the 2 tablespoons of flour and stir/whisk until light brown. Slowly whisk in half and half. Season with salt and pepper. Stir in the chopped Chanterelle Mushrooms. Bring to a boil over low heat to thicken, then remove from heat. Bake uncovered at 375f for approx. 35 minutes or until golden and bubbly and the potatoes are cooked through. Allow to cool slightly before serving. 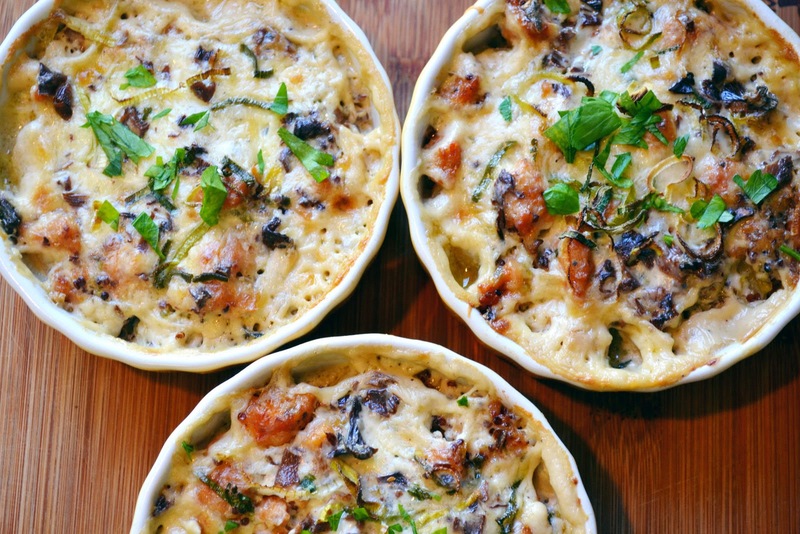 Serve warm garnished with some chopped fresh parsley if desired. Par-boil the halved Baby Dutch Potatoes in salted water over low heat for approx. 8 minutes or until just starting to turn tender. Drain and set aside. In a cast iron skillet, heat 1 tablespoon of oil over medium heat. Add the diced pancetta and cook until fat is rendered and pancetta is crispy. Remove the pancetta, reserving the fat in the pan. Reduce the heat to medium-low, add the diced shallots to the pancetta fat in the pan and sauté just until tender. Reduce heat to low and add the garlic. Saute for about 30 seconds or just until fragrant, being careful not to burn the garlic. Add the drained Fava Beans and carefully toss to coat and warm through. Remove to the bowl with the pancetta. Add 2 tablespoons of Olive Oil to the skillet and increase heat to medium. Add the halved Baby Brussel Sprouts, season with salt & pepper and cook stirring often for approximately 1-2 minutes. Add a few tablespoons of water and allow to cook off (this helps to ensure the Brussel Sprouts get cooked through). Add a tablespoon of butter and stir to combine. Add the potatoes, seasoning again with salt & pepper if needed, and continue to cook for approximately 1 minute until potatoes are cooked through and Brussel Sprouts are nice and caramelized. Add the fava bean-pancetta mixture and toss gently to combine the ingredients. Remove from heat and cover to keep warm. To serve, cook a few sunny side eggs and serve the hash family style topped with the eggs or plate individually. 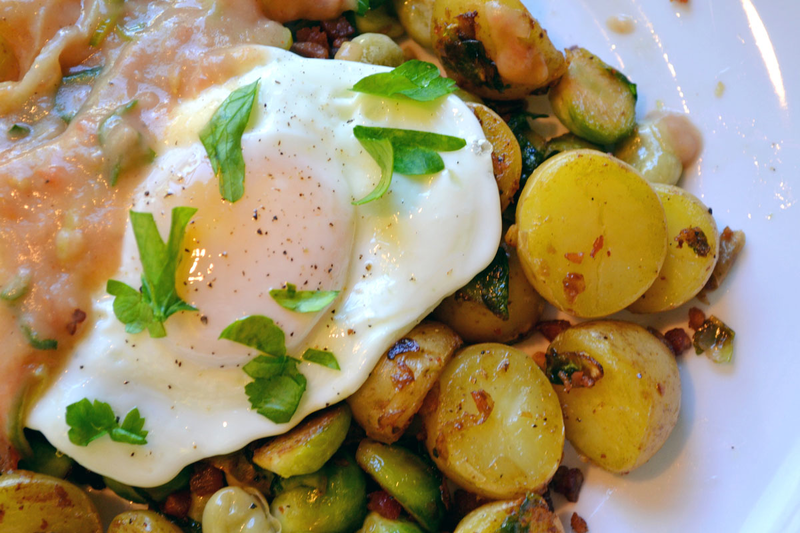 The yolk from the egg creates a sauce for the potatoes. Or add a sauce (or salsa) of your own! There's a wide variety of great sauce and salsa recipes on Melissa's Website. Just click here for the Recipe Index. Garnish with chopped fresh parsley and fresh cracked black pepper. Combine all of the ingredients in a cocktail shaker and shake vigorously to combine and chill. Pour into a glass and garnish with a few Ojai Pixie slices. Faye and I have joined forces with two of our friends to do a “Freezer Meal Exchange” every 4 to 6 weeks. What this entails is everyone in the group cooks and freezes a meal for four for every member of the group. These freezer meals come in handy during the busy work when we you don't have time to cook. I admit, I was a bit skeptical about the concept when it was presented, but honestly it is the best thing ever! Not only do we get to eat amazing food from awesome cooks, but we also get to try recipes you never would have considered otherwise, and to top it off we get to spend quality time each month with our girlfriends for the exchange lunch. It really is a win-win situation! Another great thing that has come out of this cooking adventure, is the time I get to spend cooking with my mom. I have wanted to do this for some time now, but really have not had the time. The Freezer Meal Exchange has given me the perfect vehicle to do this! Finally, I am able to actually cook with my mom and get her recipes to share on the blog instead of just sitting at the dinner table and enjoying her delicious food. It’s been difficult through the years to get actual measurements from her since her recipes always involved "a pinch of this", "and handful of that", "should look like this", or "I don't know, it just make it". Honestly, that is years of experience talking. Since starting this club, we have been able to cook 3 of her recipes together and hopefully more to come! As for this week’s recipe, it's my Grandmother Nina's Mole recipe. What is Mole? It’s a sauce that is added to chicken. It varies in flavor and technique depending on the part of Mexico you were raised. Traditional Mole takes lots time, lots of ingredients (including chocolate) and lots of love to make. 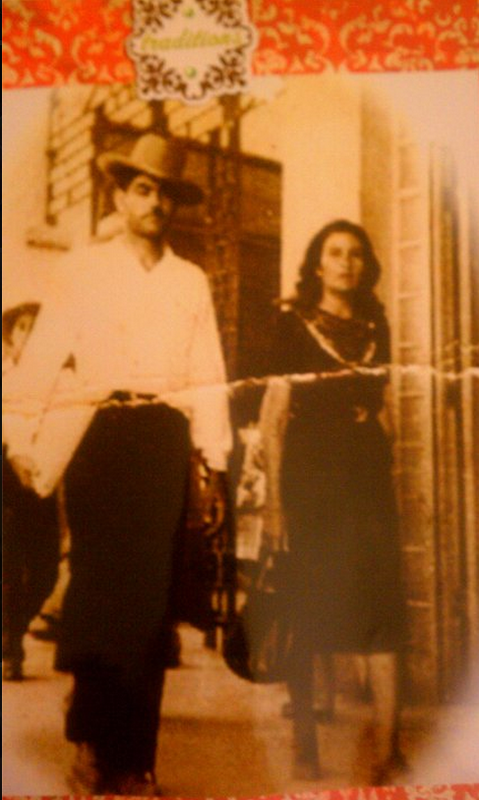 My Grandmother’s recipe is a simplified version, probably due to raising a big family in the mountains of Mexico. After my Mom married my Father, her Mother-in -Law (my Grandmother) taught my Mom how to make her version of this spicy goodness called Mole since my Dad loved it. so much I have grown up on this Mole since I was a child and it is delicious! Rich and flavorful, not spicy, just a mild chile flavor that you will definitely enjoy. It it definitely worth the time to make! I really hope you give my Grandmother Nina's Mole recipe a try and that it becomes a well loved traditional meal for your family, just as it is for ours. Add chicken, onion, garlic, pepper, and water to a large soup pot. Cook for about 20 minutes, until chicken is cooked through. Mix together, California powder, paprika with ½ cup of the chicken broth. Set aside. Once the toasted flour has cooled, put back on stove at high heat. Whisk in 2 cups of the chicken broth, continue to add the remaining 6 cups of chicken broth. Bring to boil. Once it is boiling, add the chile mixture you had made. Whisking it in, reduce the heat to medium. Add the cooked chicken pieces and cook for another 8-10 minutes. Serve with Mexican rice and warm corn torillas. There are Red Velvet lovers and then there are Red Velvet haters. It's just one of those flavors that you either get or you don't. How do you even describe it? I think I have yet to come across an accurate description that actually captures the "flavor" of Red Velvet. So I thought why not capture both and let them both be the stars? Enter Red Velvet Buttercream Frosting!! I mean, where have you been all my life? It makes the perfect frosting for your favorite chocolate cupcake recipe and you don't even have to be a Red Velvet lover to enjoy it. The secret ingredient in this recipe is Red Velvet Emulsion. Somehow, somewhere, someone found a way to capture the essence of Red Velvet in liquid form. I don't even know how to describe it other than....amazing. I purchased my first bottle of Red Velvet Emulsion at Home Goods. It was on clearance in the Holiday section. I thought it would be one of those ingredients that just sat in my pantry unused until it expired and I would just throw it away. Until one day (one fateful day), I decided to use it and my world changed forever. Now, you don't have to go scouring Home Goods looking for it because I just recently found out that they sell it at Walmart! In the bowl of your stand mixer fitted with the paddle attachment (or in a large bowl using your hand held mixer), cream the butter at medium speed. With mixer running, gradually add powdered sugar 1/2 cup at a time and mix until thoroughly combined. With mixer running, add the cocoa powder and salt. Then add the Red Velvet Bakery Emulsion. Increase speed and continue beating. Add a few tablespoons of heavy whipping cream and beat at high speed for a few minutes until fluffy. Gradually add more whipping cream a little at a time (if needed) to reach desired consistency. ** As with all buttercream frosting recipes, the measurements really are to taste. Add more cocoa powder if you prefer a more pronounced chocolate taste. 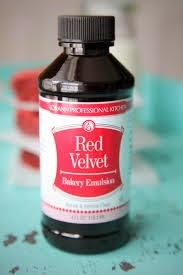 Add more Bakery Emulsion to increase the Red Velvet color and flavor. Adjust the amount of whipping cream to achieve your desired consistency. I prefer my buttercream more on the lighter/fluffier side so I usually whip the frosting for several minutes and add whipping cream as needed. Ever need a quick, easy, flavorful and impressive meal? Well, this is the meal to make. Last month one of my best friends from grade school was in town and I was hosting the "BF dinner". She doesn't visit too often, but when she does, the girls all try to get together to reminisce about our 20+ years of friendship. I told the girls I would take care of the appetizer and main course and they were to bring dessert and wine, lots of wine :-). The appetizer was easy, I have gotten very good at creating the perfect cheese platter, definitely a blog post for the future. As for the main course, I had been watching a new show on The Food Network called "The Kitchen". The show is really good, worth watching. Anyways, Marcela Valladolid was making a chicken salad that really intrigued me. I later looked up the recipe and decided it was going to be the main course. Yes, I know the rule"you shouldn't experiment with new dishes when hosting a party", but as Faye would say, I don't stick to the rules very often, and my boyfriend would say I don't listen :-). The good thing I figured out about this salad was that there was a lot of the steps you can make the day before. I modified Marcela's original recipe a bit for my taste - changed the rub (using different chilies), changed the way the chicken was cooked (she fried it, I baked) and changed the type of cheese (I used Feta instead of Cotija). Honestly this Quinoa, Kale & Brussel Sprout Salad with Chile Marinated Baked Chicken came out AMAZING! This is on my "Crave" list now! The salad is flavorful, none of that bitterness you get with Kale and Brussels sprouts ( I know, but trust me, its true!). The dressing mixture of Dijon and lemon give a great combo of creamy and tart flavor. And the Chicken... just enough spice to leave them guessing... honestly I'm getting hungry just looking at the picture. I really hope you give this salad a try! Next time you are hosting your own BF girls dinner at your place, make this salad and ,trust me, you will be receiving many requests for the recipe. "Friendship, good food and good wine go hand in hand "
a.boil 2 cup of water in a small pan with 1 teaspoon salt and 1/4 pepper. Once boiling, add 1 cup of quinoa and cover. lower heat to low. Cook for 15-17 minutes till water has completely absorbed. Remove from stove and cool. b. once quinoa is cool, take a fork and fluff it up. a. in a 2 quart casserole pan, sprinkle 3 tablespoons of olive oil. make sure pan is completely coated. c. take chicken (make sure its dry) and rub chili mixture onto each piece and put into pan. d. bake at 400 degrees for 30-35 minutes. e. Remove from oven. Serve warm. a. Combine lemon juice, Dijon mustard, shallot, garlic, salt, pepper and olive oil into a jar and shake till dressing is nice an thick. set in refrigerator. a. Take Kale and remove stem from the middle of each leaf. Once you have removed all the center stems, cut kale into very thin strips. b. take Brussel sprouts, cut in half, then core the center (I just cut each one out in a triangle shape). Once all have been cored, cut into very thin strips. 1. In a large salad bowl, combine quinoa, kale, brussel sprouts, almonds and all the dressing. Carefully combine till dressing has lightly coated all salad. Add Feta Cheese, and stir. 2. Cut chicken into slices and serve on top of salad.